CBS Studios International and UK firm Scoope Media have agreed a licensing deal that will result in an African version of the US company’s hit format The Doctors. Scoope Media will produce the show in Nigeria. Each episode of the hour-long programme will offer practical wellness and lifestyle information from medical practitioners. It will also feature real-life stories and interviews with celebrities. The deal was struck between Roxanne Pompa, VP of formats for CBS Studios International, and Dr Dayo Osholowu, who will host and exec produce the show. 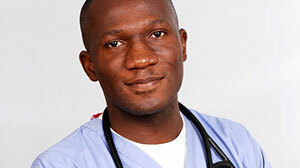 Osholowu has a healthcare company based in Lagos named Kasi Healthcare. The series is set to premiere in the final quarter of 2019 on the Scoop! SVoD platform as well as on pay and free TV broadcasters across Africa. Rights have already been sold to pay TV operators DStv and StarTimes. “It’s terrific that CBS Studios International and Dr Osholowu are bringing such a globally recognised format like The Doctors to Africa,” said Pompa. Scoope VP Ibukun Lasisi added: “This is a huge development for healthcare in Africa as we work with CBS to broaden its global reach of The Doctors brand. A pilot has been shot and it looks fantastic. Osholowu, whose company has spent two years developing a mobile app to allow audiences across Africa to consult with doctors in real time, believes the show can have a great impact on the continent by providing access to quality medical advice. “I always thought The Doctors would work in the African market and be fuel for change,” he said. “Our goal every week is to make people across Africa laugh, cry and learn something about their health. Created by Jay McGraw, The Doctors debuted on CBS in the US in 2008. The show won an Emmy for Outstanding Talk Show/Informative in 2010 and has been nominated in the category six times.